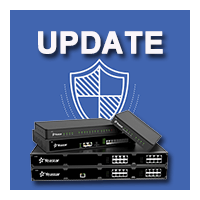 We are proud to release the new Firmware Update Version 30.3.0.10 for the S-Series VoIP PBX. It offers more new powerful features such as Billing App and emergency number feature, etc., makes great optimization and fixes some bugs. Instruction: use the Billing App to allocate call credit and top up extensions, and conduct call analysis. Both prepaid and postpaid payments are supported. Rate can be set according to extensions, time periods, call duration, prefix number and number length. Real-time top-up history and statistics are all recorded. Go to “App Center” to install the Billing App and go to the Billing “General Settings” page, enable the billing feature, you will have 30-day free trial. More details about Billing App will be introduced in next blog. Instruction: enter the emergency number, and select a trunk to call the emergency number. You can also set a notification extension. When the emergency number is dialed, the system will make a notification call to the selected extension with a prompt. Added support for installing or updating App by uploading App installer package to S-Series VoIP PBX. Added support for logging in Web user interface by user email address. Added support for sending Email to SMS to multiple mobile phone numbers. Extension users can configure their own whitelists to allow only trusted numbers to call their extensions. Added support for adapting caller ID. Added support for sharing hard disk / TF card / SD card / USB drive. Added “Delete Voicemail” and “Dial 5 Prompt” settings for Voicemail. Added support for displaying the original caller ID when you do attended transfer. Added support for limiting VoIP trunk’s maximum channels. Added “DID Number” setting for PSTN/GSM/3G trunk. 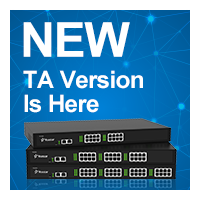 Upgrade the NTP server version to 4.2.8p8. Supports to add a maximum of 5 prompts for an IVR. When a user picks up a call, he can see the incoming caller ID on his phone. The system will give a prompt when a mobile extension user calls in the S-Series IPPBX. Limit the length of outbound route “Dial Pattern” to 63 characters. The debug commands under SSH will be recorded in system logs. Fixed call log issue: when the incoming call reached a ring group, and a user in the group answered the call, this call log would not be record in the system. Fixed the SIP peer trunk issue: the trunk would not work if “Qualify” is disabled. Fixed E1 trunk issue: if the E1 trunk signaling is set to mfc/r2, this trunk would be unavailable to use. Fixed the issue that using a BLF key to monitor a trunk, and pressed the key to dial out, the system might use a wrong trunk to call out. Fixed SLA issue: using a BLF key to monitor a SLA trunk, and pressed the key to use the trunk, the system would hang up. 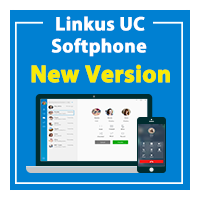 Download the firmware or check for new update in your S-Series VoIP PBX Web interface. Release Note for different versions can be found here.